A transgender man who got pregnant with a donor sperm has taken his case to the High Court to be registered as the father on the baby’s birth certificate. The anonymous man – known only as TT – was born a female but had legally become a man when he gave birth to the child, known as YY. He has now taken his case to Britain’s top family court to be registered as the father on the child’s birth certificate, rather than as his mother. If a senior judge rules in favour of TT, the baby could be the first born in England and Wales who will not legally have a mother. TT says forcing him to register as the child’s ‘mother’ breaches his human right to respect for private and family life. 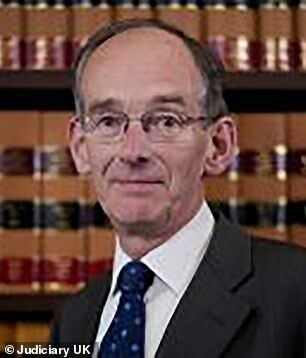 Top judge Sir Andrew McFarlane wants fertility laws to be re-examined after hearing the case. Sir Andrew was told civil servants had drawn up a plan to allow the parent to be classed as ‘male mother’, but the judge was told the plan was impractical, the Daily Telegraph reported. Current UK law states that fertility treatment is only currently accessible to women. Sir Andrew, president of the Family Division of the High Court, suggested the government should review the 2008 Human Fertilisation and Embryo Authority Act. ‘It is a matter of concern that…the clinic treated TT whilst openly regarding him as a man,’ Sir Andrew said speaking to lawyers representing the Department of Health. The HFEA, which has chosen to not be involved in the High Court case, was not present in court yesterday. It will be at least another week until a judgment is passed.